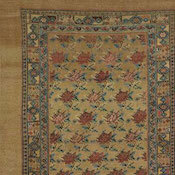 Malayer and the surrounding villages produced some of the most decorative of Persian village weavings. 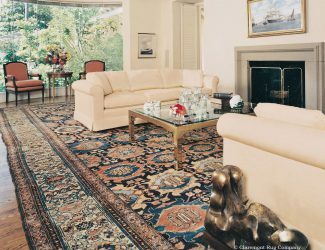 At the finer levels, each Malayer Oriental carpet is distinct, the weavers having drawn on a large pool of designs, investing much originality in their creation. 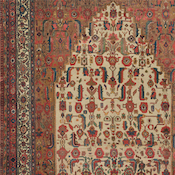 This richness of motifs makes antique Malayer rugs endlessly interesting. 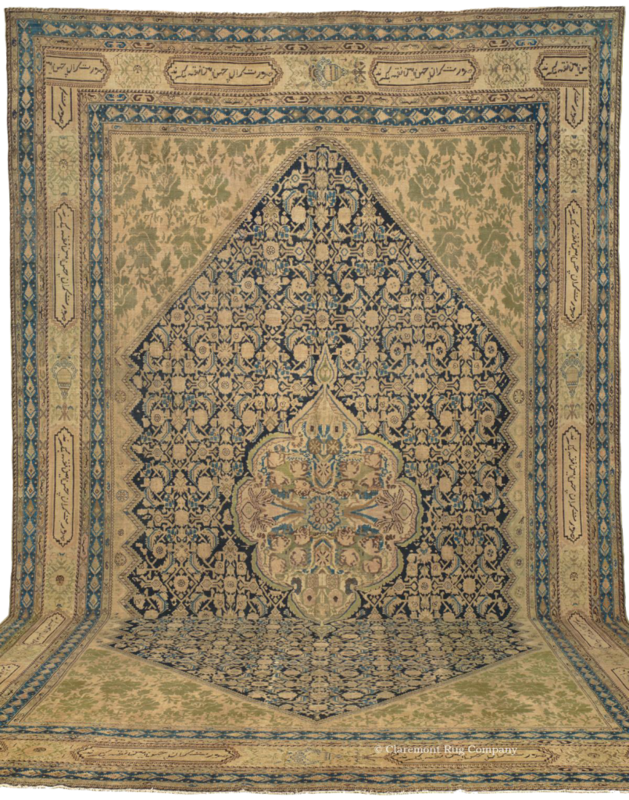 The “boteh” or sprouting seed (a sign of rebirth and growth in nature) was a favorite motif of the antique rug weavers, sometimes covering the field in small rugs and runners. Stylized birds were another beloved design, adding a whimsical touch. 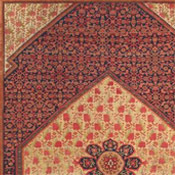 Flower head and vinery lattice Persian carpet patterns and the well-known Herati design (diamonds flanked by flower heads and leaves) were all employed by the tribal rug weavers. 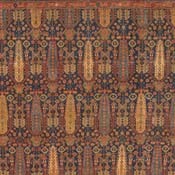 Inspiration also came from the sophisticated carpets of the Ferahan plain to the East. 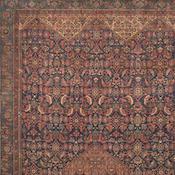 Both allover field designs and central medallion Oriental carpets were woven. 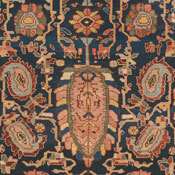 Natural dyes were employed in the best Malayer antique carpets with deep navy blue frequently used as a field color. This acted as a rich backdrop for their exquisite spectrum of secondary tones: sage green, watermelon, sky blue, soft salmon, gold, and tan. Rich rust-to-crimson grounds were also used; undyed camelhair was employed less frequently. 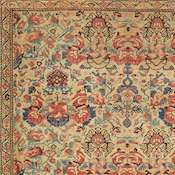 Finely woven for village Persian carpets, the best Malayer carpets were woven in the village of Mishin, and use a lustrous, resilient wool and subtle, mesmerizing, repeating patterns. 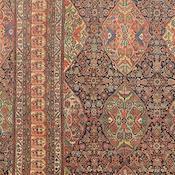 Many of the weavers were of ethnic Turkish stock and the “Ghiordes” or symmetric knot was used in all Malayer carpets. The wool pile is often cut fairly short to accentuate the detail and clarity of the design.  Like all of the most artistic village rugs, older antique Malayer carpets are excellent investments which are now just beginning to approach the full recognition they deserve.